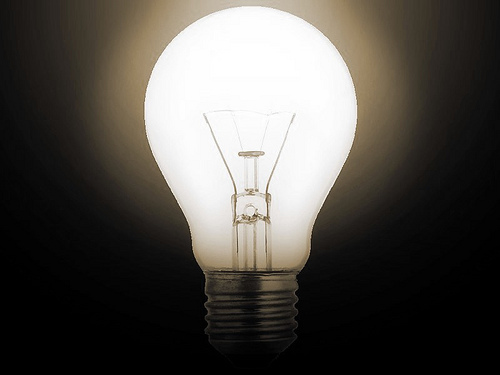 The Daily Clog » Light Bulb! ASUC Can Has Good Idea? And as long-contested Finance Officer Alan Ni once said, “Having more money is always good … ” We couldn’t agree more. Not to say this isn’t one of the best ideas the ASUC has ever had, but they should probably lift the no-Airbears, no ASUC-controlled-buildings restrictions if they’re going to go through with it, so as not to exclude people who don’t have their own computer or internet at their place of residence. I think that’s a great idea. The only problem we would have with removing the AirBears/Eshleman/Anthony Hall block is that it would violate the clause in the By-Laws that mandates at least a 100 foot distance between a voter and a campaigner. We’re trying to see what we can do to work around it, because there does need to be some way for students without computers to vote on campus. I was thinking about maybe removing the ban on the IP addresses in the computer labs on campus, but removing the AirBears ban and having stricter campaigning regulations might work too. The bill is still in the works, so I’m open to any suggestions. Can we make the mandated 100 feet between campaigners and voters not just be limited to voting locations but also to everything. Good job, appreciate your efforts here..